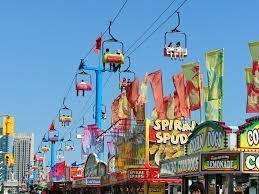 The CNE, often referred to as The EX, returns this summer with a number of attractions such as the CNE Zip Line – the highest and longest temporary zip line in the world, 40ft-high Sky Ride, the iconic Midway Ferris Wheel and Kids’ World to name a few. Millions of visitors flock to the CNE each year to experience incredible shopping, innovative and classic food offerings as well as international performances, shows and live entertainment scheduled throughout the 18-day fair. Last year, the CNE welcomed a total of 1.36 million visitors.